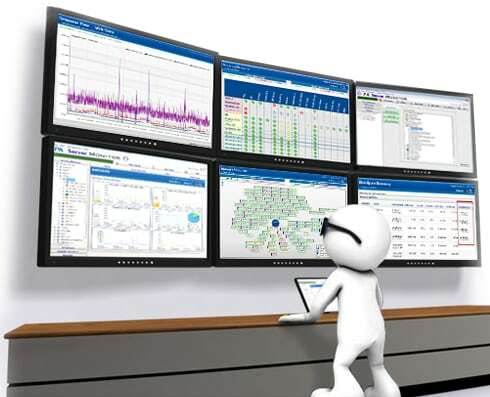 How do you babysit your network operations center (NOC) for Black Friday and Cyber Monday to avoid finger-pointing in the war room? Let’s face it, the next few days for any retail business is mission-critical and business performance is going to be a direct result of application performance—and a nice time to reflect about IT performance. First and foremost, you need to get crucial monitoring data to the right teams to avoid finger pointing in the war room. Enterprise IT staff typically have daily, war room meetings around 4 PM in a conference room next to the NOC. Those who pass the finger-pointing test get to go home while others have to stay and figure out what the heck went wrong with the network, the servers, and/or the apps. Here are four tips to help avoid finger poiting at critical times. You don’t have to be in eCommerce or retail to know that solving IT problems quickly can make a huge difference in the overall performance of your organization. The more ways that you can keep IT simple for everyone (pun intended), the more you can have an effect on the business bottom line. When you have complicated, non-shared tools for network performance management (NPM) and application performance management (APM), IT staff typically get hammered by any attempts to solve a problem together as a whole cohesive team. In the past, that did not matter as much because fixing the network usually solved most end user experience challenges. That’s not the case now. With the Hybrid Enterprise and so many components affecting app performance, it’s not always the network. A large, global retailer recently discovered with help from Riverbed Professional Services that 80 to 90% of the time the network was not the cause of their slow applications. A critical ingredient to the success of any organization is to have the customer or end-user experience of business critical apps at the top of the list. When so many resources are now shared or even outsourced to the cloud, you have to have a performance engineering team that can manage and foster a spirit of collaboration across teams. This requires leadership from the top down. If not, everyone will be working in their own silo and comfort zone with no accountability for the overall success of their application delivery. This dashboard in the NOC gets you started. Where you go from here is up to the data and must be easily shared across teams to be effective when troubleshooting and fixing and issue. 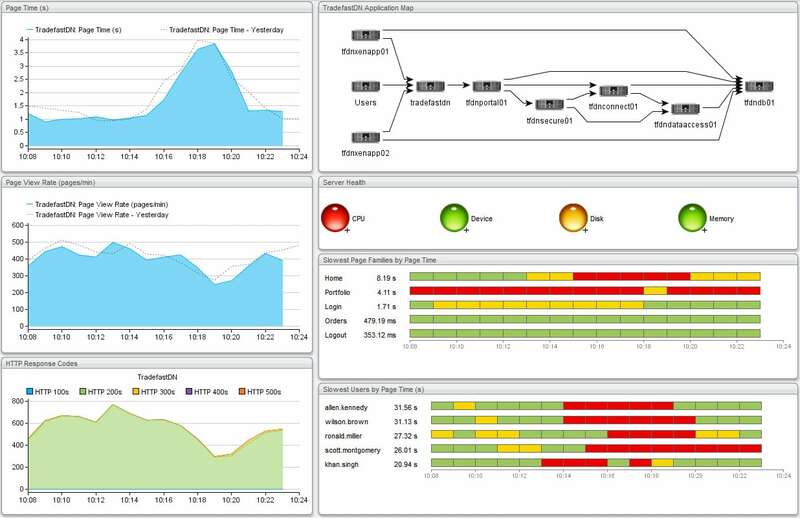 With a comprehensive set of passive and active NPM and APM monitoring tools from Riverbed’s complete Application Performance Platform™, you have a much better chance of solving application performance issues across teams and much faster. Another advantage of Riverbed’s set of solutions is a continued commitment to “together is better” solutions. For example, AppResponse 9.5 now integrates with SteelHead 9.0 for visibiility and troubleshooting WAN-optimized web applications on premise or by SaaS. SteelCentral NetProfiler provides deep packet inspection (DPI) data of the specific ports, protocols, and applications running in your branch offices from another together-is-better solution by integrating with SteelHead.